This residency program provides advanced training in the care of pediatric patients as well as using vision therapy as a treatment modality for various vision disorders. Residents gain extensive experience in the diagnosis and management of anomalies of binocular vision and assessment of vision function. Specialty areas of infant vision, strabismus, amblyopia, visual perception, vision therapy, pediatric eye disease, head trauma, special needs, electrodiagnostic techniques are explored. 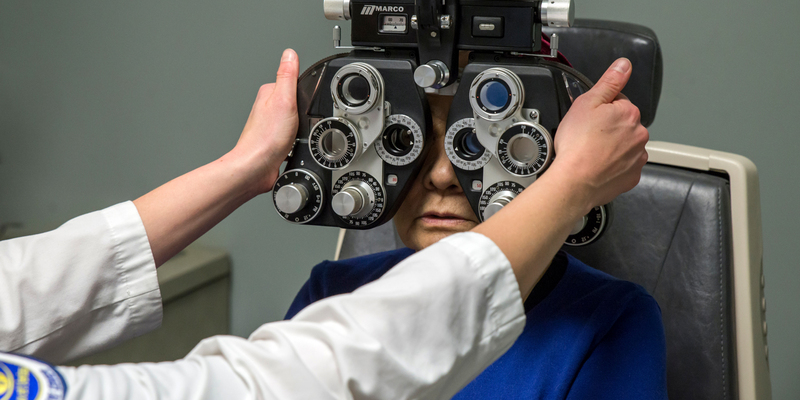 Residents work with other optometric specialties including contact lens, low vision and ocular disease, as well physicians, educators, psychologists, and other professionals in a diverse assortment of clinical and educational settings. This program is flexible and is adjusted to meet the resident's needs and desires. This residency program provides advanced training in the care of low vision patients as well as using vision therapy as a treatment modality for various vision disorders. Residents gain extensive experience in the diagnosis of ocular disease, management of patients with low vision, anomalies of binocular vision and assessment of vision function. Specialty areas of brain injury, neuro-rehabilitation, strabismus, amblyopia, visual perception, electrodiagnostic techniques are explored. Residents work with other optometric specialties including contact lens, pediatrics and ocular disease, as well physicians, educators, psychologists, and other professionals in a diverse assortment of clinical and educational settings. This program is flexible and is adjusted to meet the resident's needs and desires.